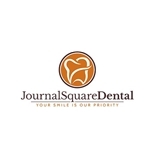 Journal Square Dental (Jersey City) - Book Appointment Online! I had a metal filling replaced with a composite filling, small chips filed away from my teeth, and an additional composite on another tooth. Dr. Rickerby is very personable and did an excellent job. Everything went smoothly and painlessly. Everything was explained to me in detail. I was also given advice on how to prevent future dental problems. Digital x-rays were performed and were shown and explained to me. I also had the best cleaning I ever had with Debbie, the dental Hygienist. Dr. Rickerby and staff were very professional and nice. The office was modern and clean. Appt. reminders were sent by text, and the wait time was miniscule. I would definitely recommend this practice.